New portfolio project! I’m doing a Visual Development Project based on Brandon Sanderson’s novella „The Emperor’s Soul“. 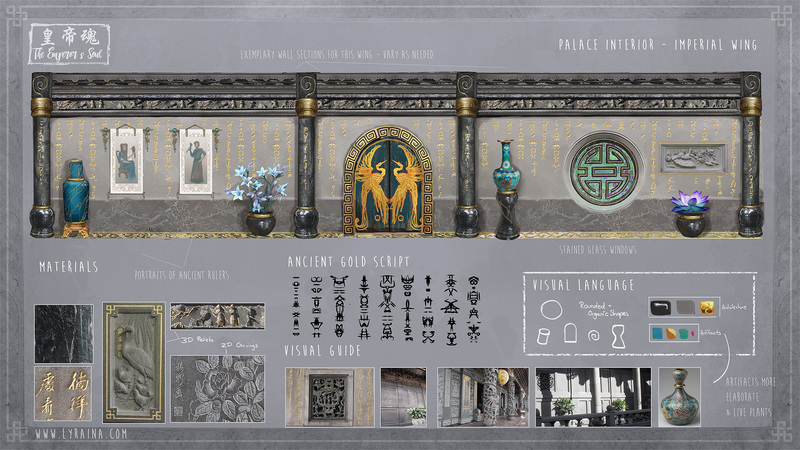 Moving on to the Imperial Wing – a stark difference with its gold ornaments and hallways lined with ancient portraits and artifacts. The project is based on Brandon Sanderson’s novella „The Emperor’s Soul“.